Baidu, China's most popular search engine, has just been found guilty--in China--for violating copyright on music lyrics found on its service. But this is China, home of dodgy thinking about intellectual property: The fine was just $8,000. The case centers on 50 tracks owned by China's MCSC record label, the lyrics of which Baidu was making available through its MP3 lyrics search system. MCSC contended Baidu didn't have the rights to do this, and took the search engine to court. A judge in the Haidian district of Beijing has just examined the case, and ruled in favor of MCSC. The penalty is to remove the offending content--a pretty standard move, of course--and pay compensation. The amount is laughable though: It's just 50,000 Yuan or $7,300, and another 10,000 Yuan in court fees. Arguably the matter concerns just 50 tracks, and the content in question is merely the lyrics. 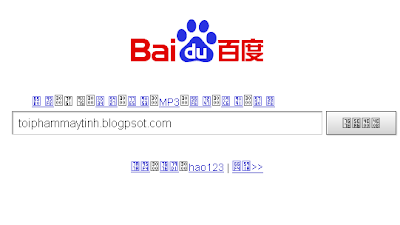 But that MCSC-owned IP will have been served up by Baidu to potentially millions of users, magnifying the issue somewhat. Though we're not talking about serious music pirating here, it does seem somewhat ridiculous that such a small penalty has been levied against a big-business search engine. $8,000-odd dollars seems even more ridiculous when you look at the size of fines enforced in the U.S. for piracy--the most obvious counter example being the ruling against Jammie Thomas-Rasset, who faced a $2.4 million fine for pirating just 24 music tracks. But, the Baidu ruling has a bigger, slightly iconic significance. Though there are some legal shenanigans behind the case, it demonstrates that serious questions of IP violation can be successfully tried in China. The nation is absolutely notorious for rampant theft of IP, be it gadget design, look and feel of Web sites, imagery, and code--in 2007, the Office of the U.S. Trade Representative added China to its "priority watch list" for widespread violation of copyright. Though nobody's suggesting that the Baidu case means that the legal establishment has turned a corner, and copyright will be viewed with a new respect, it may be seen as a test case, with seriously positive implications for other rights holders who've seen their creations stolen inside China. Chinese e-publishers recently planning to sue Baidu for copyright violations will also be watching this ruling closely.